Smaller Project 5-1, Entertainment Wall » Roger Perron Inc. 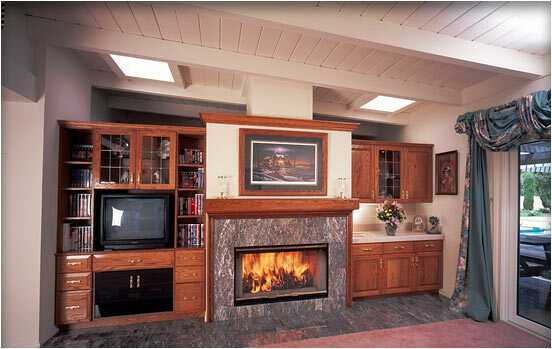 Here is an entertainment wall with a two-sided fireplace. On this side is the family room and on the other side is the living room. Prior to the remodel, the wall continued to the ceiling with no separation above as shown. We added the skylights, which wash light down on both sides.